Nate Brandenburg is an entrepreneurial business, banking, and real estate attorney. His practice focuses on the representation of financial institutions, closely-held businesses, and commercial real estate investors. He approaches his clients’ issues from a business perspective and provides clients with honest and essential solutions. Nate brings a unique position to his practice having served on the boards of directors of a local bank and bank holding company as well as on the management committee of a law firm. Nate’s business practice includes mergers and acquisitions, succession, corporate governance, and finance matters for closely-held businesses. Nate also has significant experience representing banks and bank holding companies in mergers and acquisitions, succession and change-in-control issues, loan documentation, troubled loan and asset matters, and general corporate and business matters. Additionally, Nate represents commercial real estate investors in acquisitions, sales, and leasing matters. Ancillary to his legal practice, Brandenburg is actively involved with the TwinWest Chamber of Commerce and is currently serving on its Board of Directors and as its Incoming Chair/Vice Chair. Nate also is a member of the Boards of Directors of the TwinWest Foundation, the TwinWest Political Action Committee, and the TwinWest Business Advocacy Fund (having served as Chair of the TwinWest PAC and Business Advocacy Fund in 2015 and 2016). 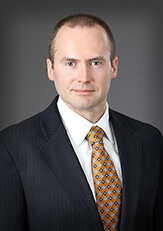 Before joining FMJ, Brandenburg was a Shareholder at a commercial law firm in downtown Minneapolis where he served on the firm’s management committee. He was named a Minnesota “Rising Star” (an honor given only to 2.5% of lawyers in Minnesota) by Super Lawyers in 2016, 2017, and 2018. Nate enjoys spending time on the lake with his wife and daughter. He also likes to play golf, spend time at his farm, hunt, and fish. He is also a licensed pilot but is currently on hiatus from flying while learning about Daniel Tiger and Paw Patrol (his daughter’s favorite television shows).